In conjunction with the Pastoral Care Of­fice, Fr. Cyril Augustyn OFMConv. 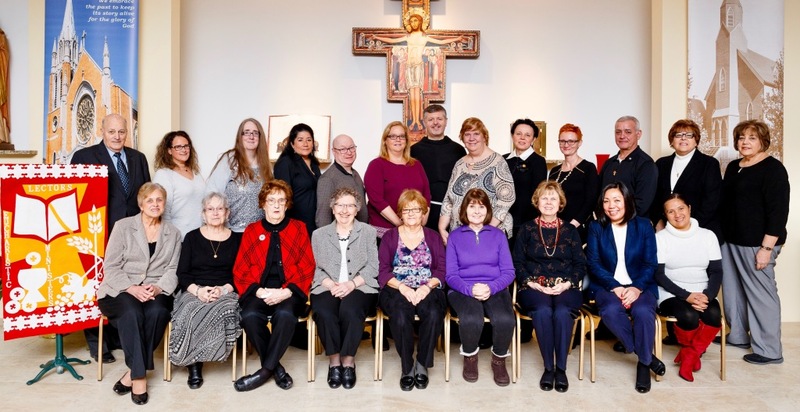 invited thirteen parishioners to serve as Eucharistic Min­isters. These members were installed in March, 1979, by Msgr. Hunt, for the purpose of bringing Communion to the homebound. In 1980, this ministry developed to include Ministers of the Cup. Our Episcopal Vicar, Msgr. Langelier, officiated at the installation ceremony of 45 new ministers. Under the direction of Fr. Thomas Reist OFMConv., there were 43 Eucharistic Ministers. Monthly newsletters and Days of Prayer provided spiritual renewal for the mem­bers. In responding to the needs of the times as well as the church's call to ministry, Eucha­ristic Ministers at St. Adalbert have expanded their liturgical ministry to include distributing Holy Communion under both species.